Why Care About Prostate Support? 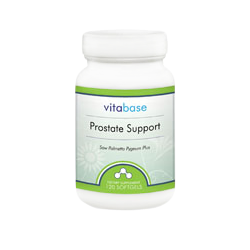 Vitabase Prostate Support is a complete, natural formula designed to keep your prostate healthy and to relieve symptoms associated with BPH. • Saw Palmetto is one of the most thoroughly studied and documented natural remedies for prostate problems. European studies since the 1960’s have shown that men taking saw palmetto experience significant improvement in urinary tract symptoms (+28%), peak urine flow (+24%) and overall urine flow (+48%). • Pygeum africanum bark extract comes from central and south Africa where it has been used to treat bladder and urinary problems. The active chemical in pygeum is Beta Sitosterol. Research attaches many benefits to beta sitosterol including reducing such discomforts of Benign Prostatic Hypertrophy (BPH) as frequent and painful urination and lowering cholesterol. • Beta sitosterol has long been used by Europeans for prostate problems and now its popularity is growing among American men. Promising results from research are published regularly. A Lancet study found that men with BPH who were given beta sitosterol daily for six months showed significant improvement in urinary difficulties. Those given a placebo reported no relief. A 1999 review of four clinical trials involving 519 men with mild to moderate BPH found that beta sitosterol provided notable relief from urinary problems. It also increased urine flow and caused few side effects. • Nettle is often combined with saw palmetto and pygeum africanum to ease BPH symptoms. German research suggests that stinging nettle’s benefit comes from reducing prostate swelling. • Lycopene is being followed up on early indications of helping more serious prostate problems. Unlike competing products, we package our prostate formula in a softgel to preserve the potency of its active ingredients. 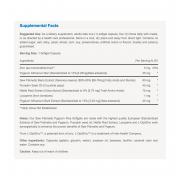 • Reduces symptoms of Benign Prostatic Hypertrophy (BPH). • Contains high potency saw palmetto and pygeum. 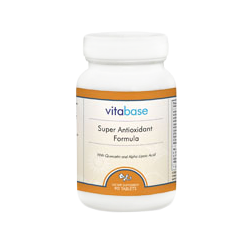 • Unlike competing products, packaged in a softgel to preserve the active nutrients. 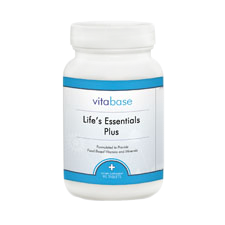 • Especially designed for prostate health. 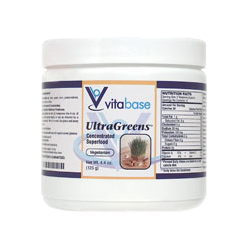 • Helps reverse many urinary issues that develop from prostate disorders. 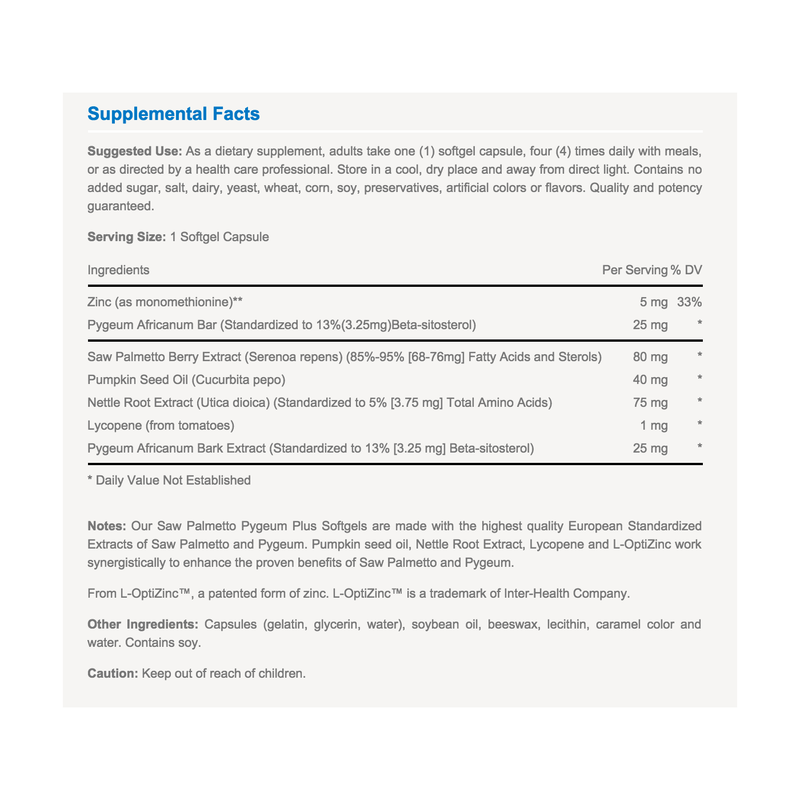 • Suggested Use: As a dietary supplement, adults take one (1) softgel capsule, four (4) times daily with meals, or as directed by a health care professional.